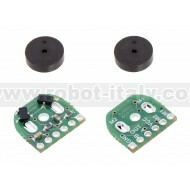 Add quadrature encoders to your micro metal gearmotors (extended back shaft version required) with this kit that uses a magnetic disc and hall effect sensors to provide 12 counts per revolution of the motor shaft. 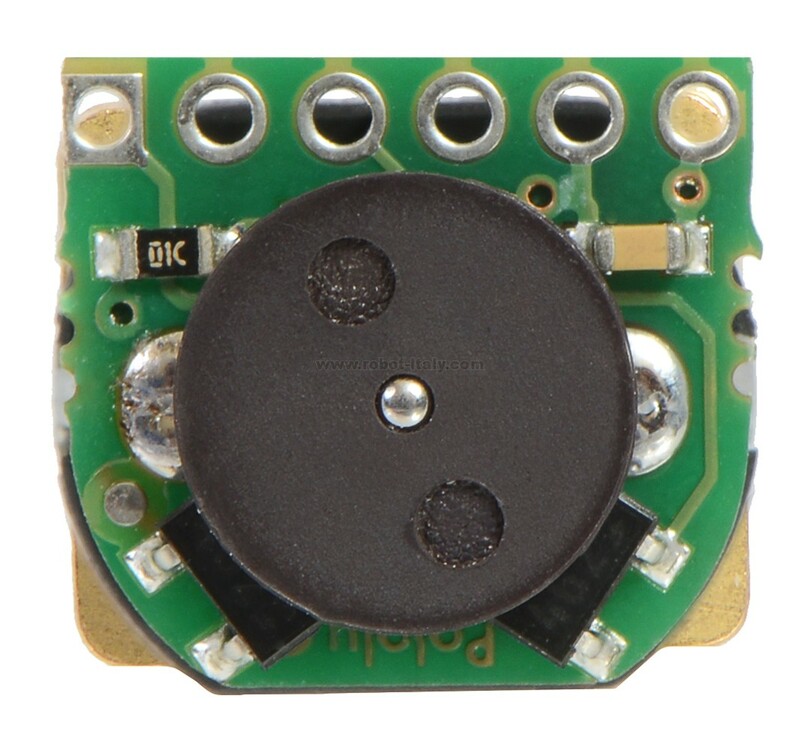 The encoder board is designed to be soldered directly to the back of the motor, with the back shaft of the motor protruding through the hole in the middle of the circuit board. 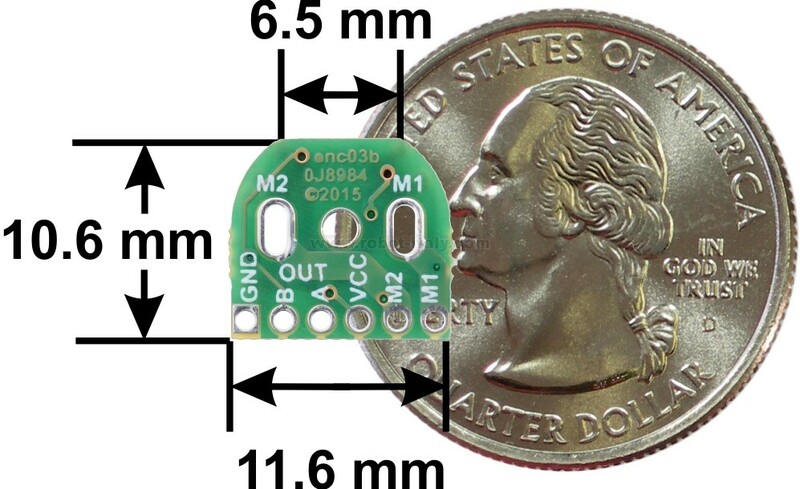 One way to achieve good alignment between the board and the motor is to tack down the board to one motor pin and to solder the other pin only when the board is flat and well aligned. 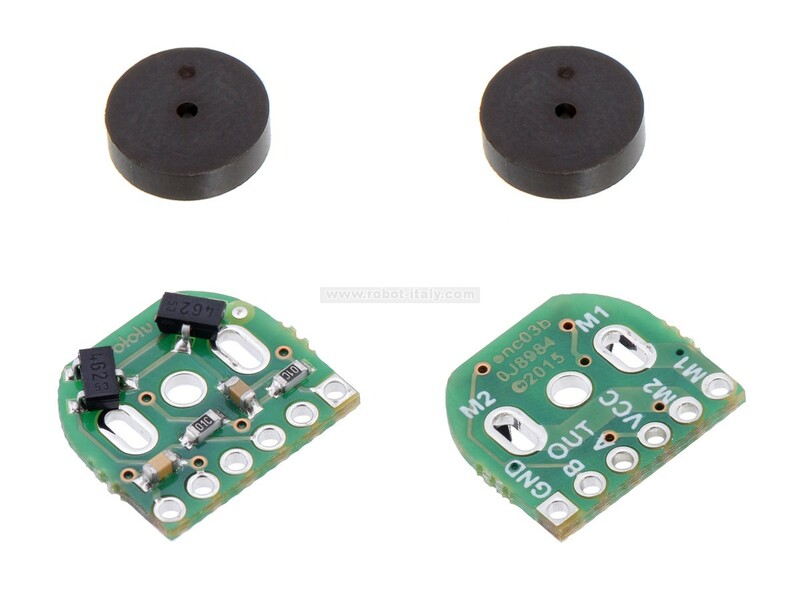 Be careful to avoid prolonged heating of the motor pins, which could deform the plastic end cap of the motor or the motor brushes. 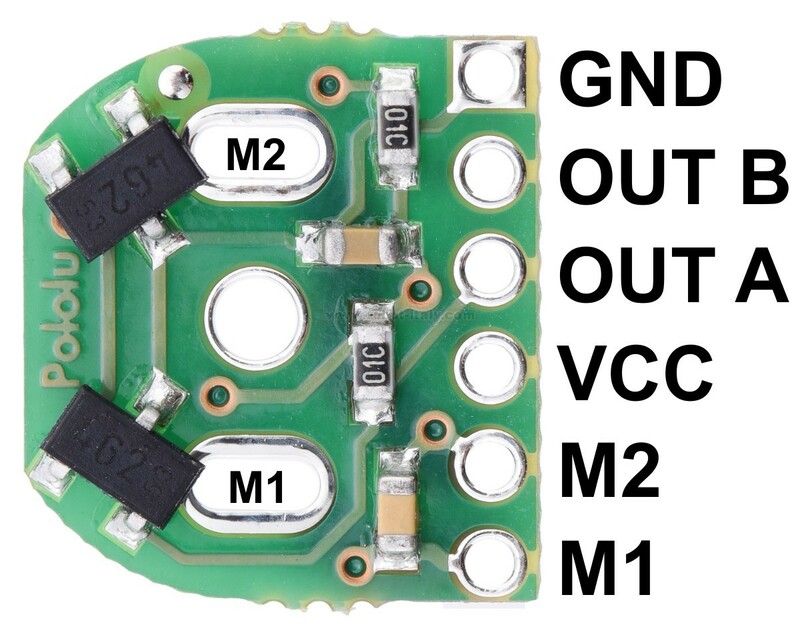 Once the board is soldered down to the two terminals, the motor leads are connected to the M1 and M2 pads along the edge of the board; the remaining four pads are used to power the sensors and access the two quadrature outputs. 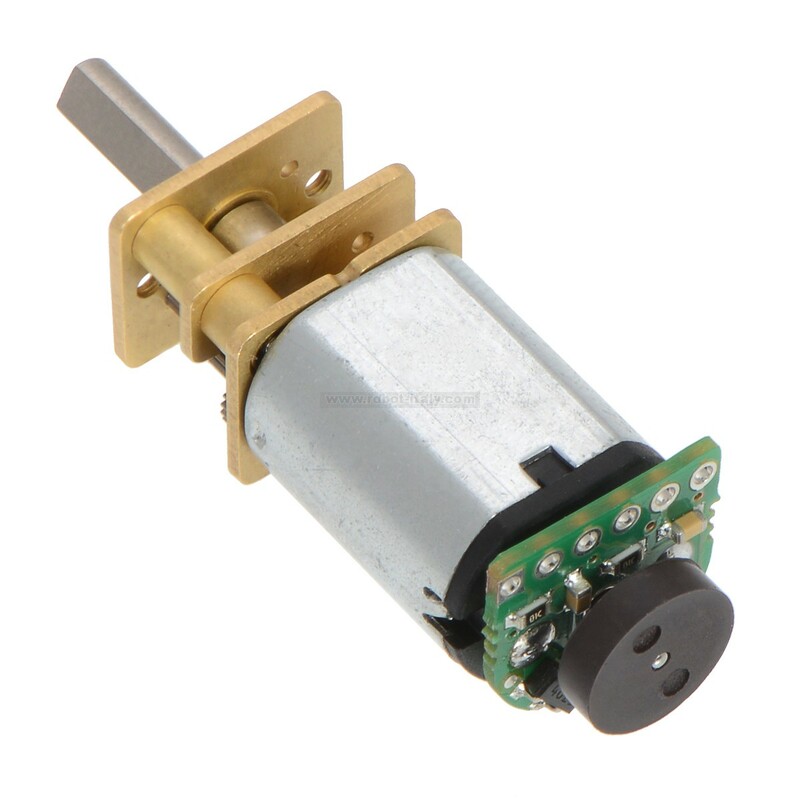 1 The assembled encoder will extend 5 mm beyond the plastic motor end cap (it fits entirely within the length of the extended motor shaft). 2 Weight of full set. 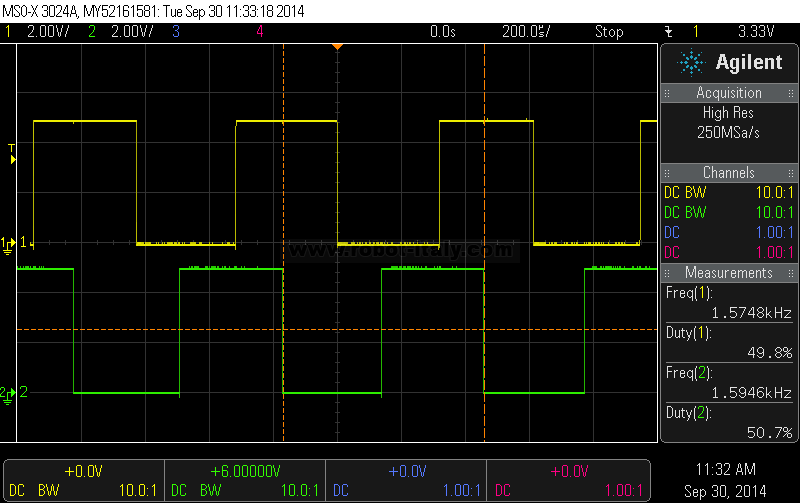 Each encoder board weighs ~0.2 g and each magnet disc weighs ~0.3 g.